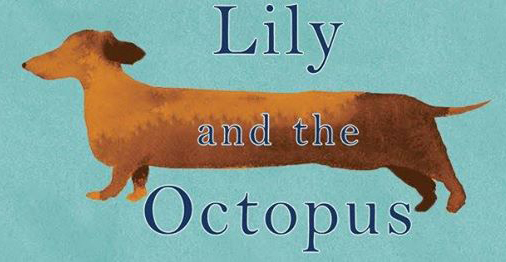 Lily and the Octopus is such a sweet tale. 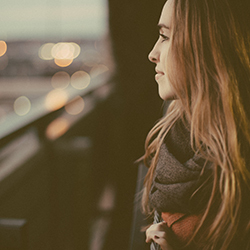 It’s quite heartbreaking and melancholic, but it’s beautifully written and the prose weaves together effortlessly to create an enjoyable story. This book is about the strong bond between the main character, Ted Flask, and his dog Lily. Unfortunately, there is an octopus growing in Lily’s head. And no, not a real octopus. A tumour. Ted merely refers to it as an octopus so that Lily won’t get upset. And perhaps on some level, he can’t accept it himself. He doesn’t want to admit to himself that Lily could die. Ted is a sympathetic, caring character. In fact, he cares the most for Lily. Even when we read flashbacks from his earlier life, the reader can see that Ted has always put Lily first, before family and relationships. He’s a relatable character in these instances. He’s not a perfect character. He has flaws. But through his relationship with Lily, the reader sees his empathetic and caring side, and we come to understand him. Lily and the Octopus highlights the bond that humans can have with pets, and the emotional heartache it can cause when that pet isn’t well. 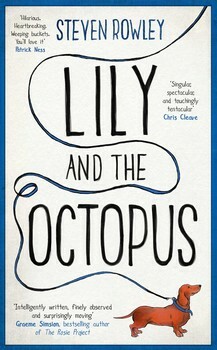 Lily’s octopus will not go away, and it starts to take control over Lily’s brain. It even speaks to Ted and has its own distinct, snarky voice that the reader dislikes. Lily becomes less Lily and more the nasty octopus taking control over the dog’s body. Lily and the Octopus reminds us how it feels to love a pet and how difficult it can be to let go. Stephen Rowley’s book also reminds us how devastating it can be to accept that you’re going to outlive that pet. This book is at times heartbreaking but at times funny and adventurous and uplifting. Stephen has written this story with flowing prose and lots of imagery and metaphors, so that it feels somewhat fantastical. This book takes you on a journey, and it is quite magnificent. Thank you to Simon & Schuster for supplying me with a review copy.